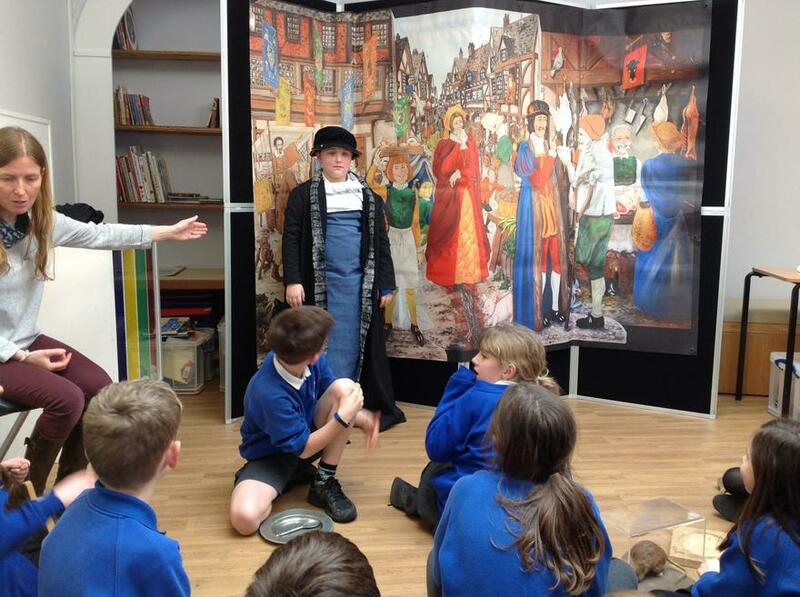 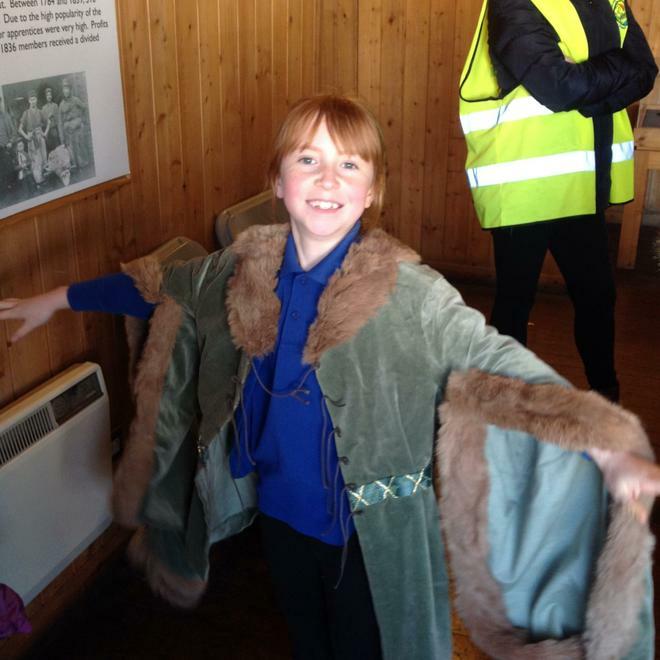 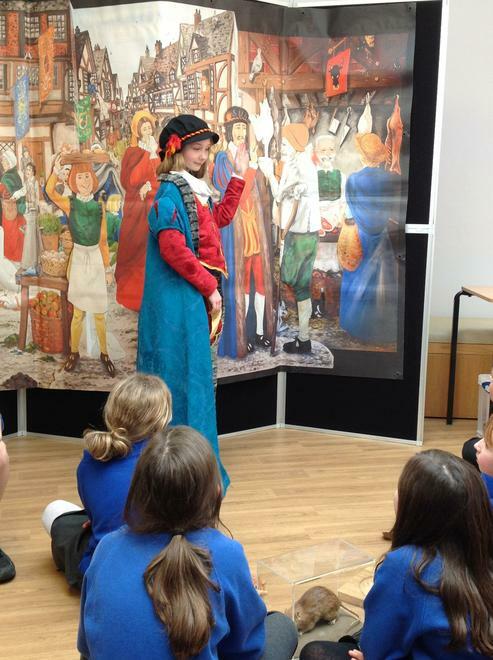 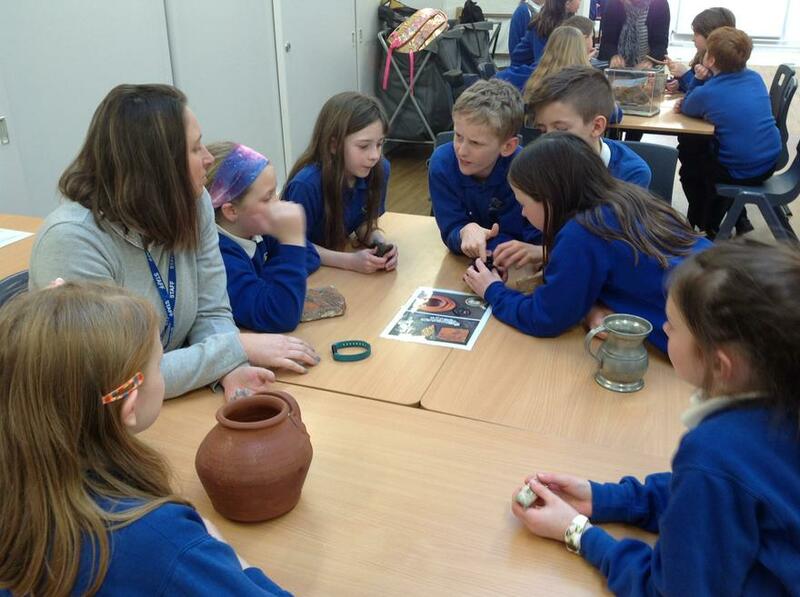 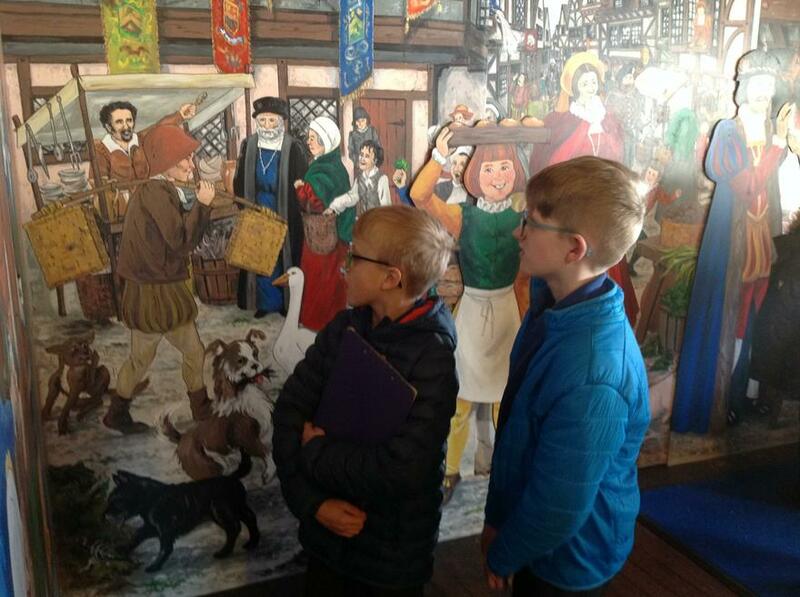 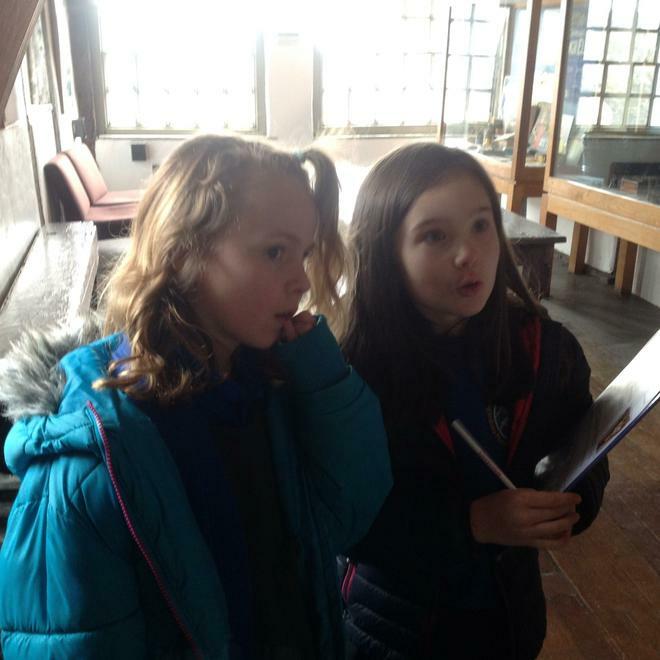 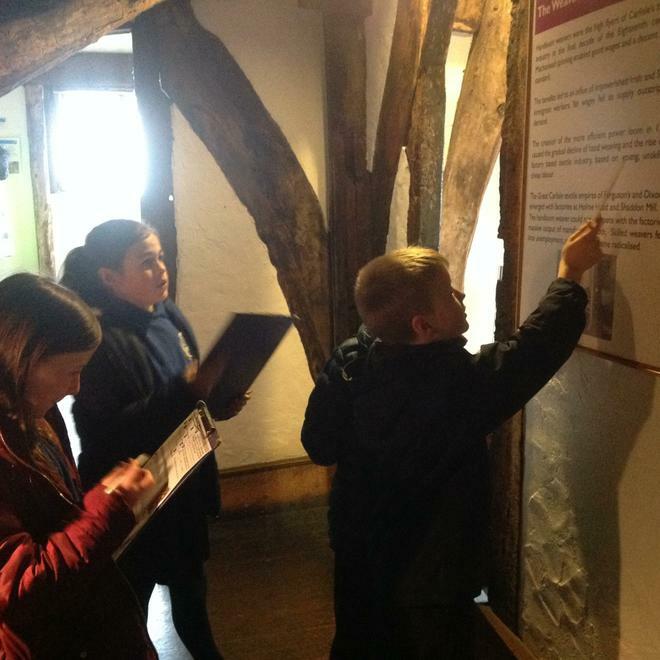 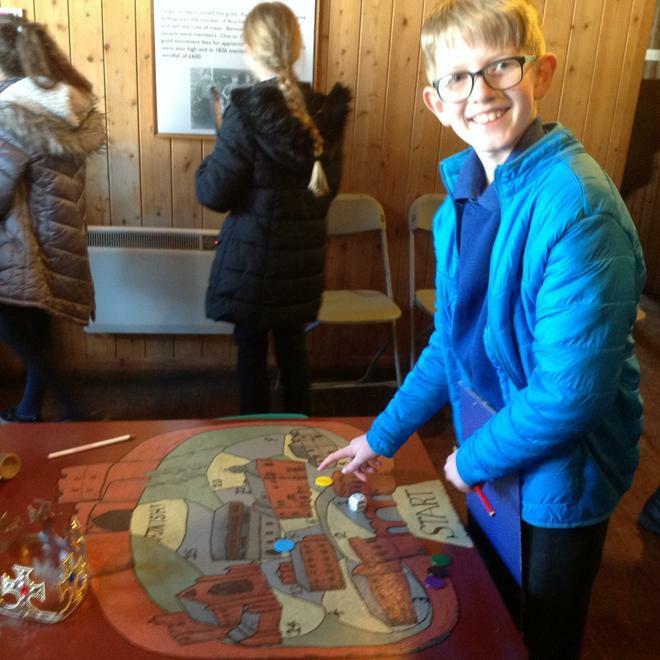 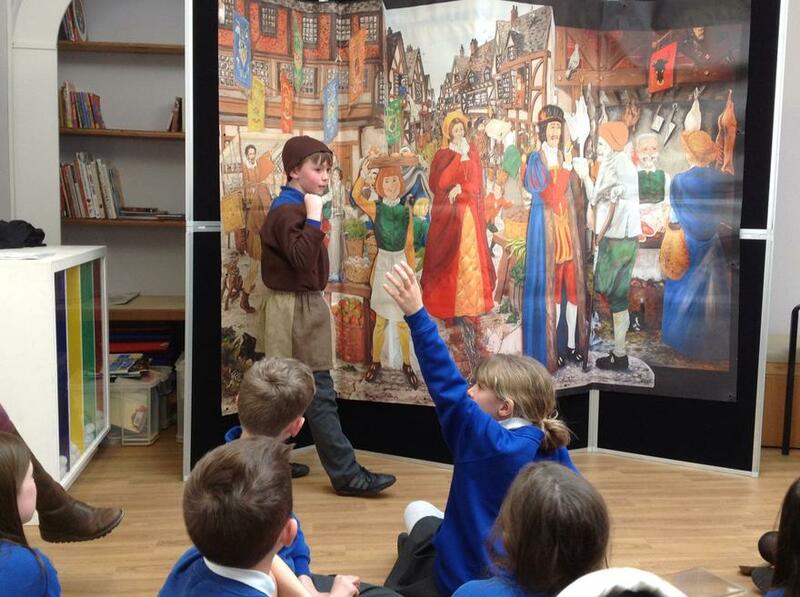 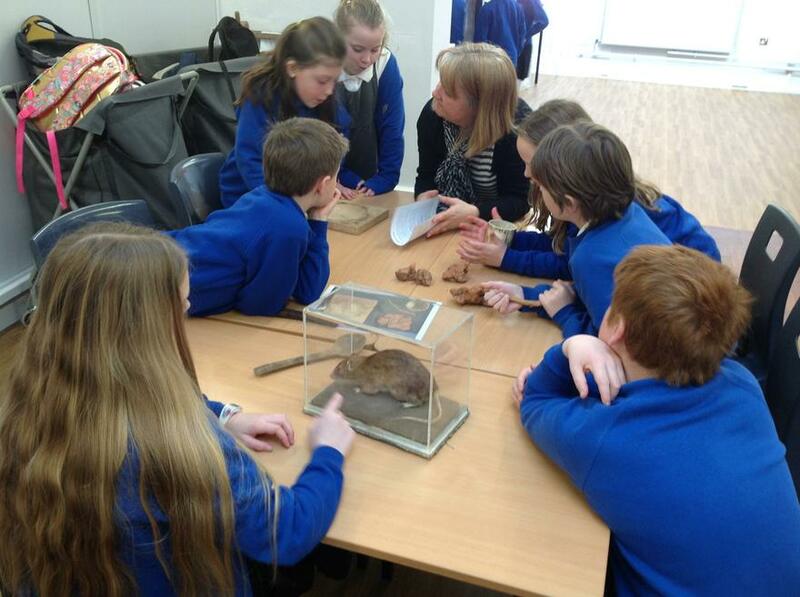 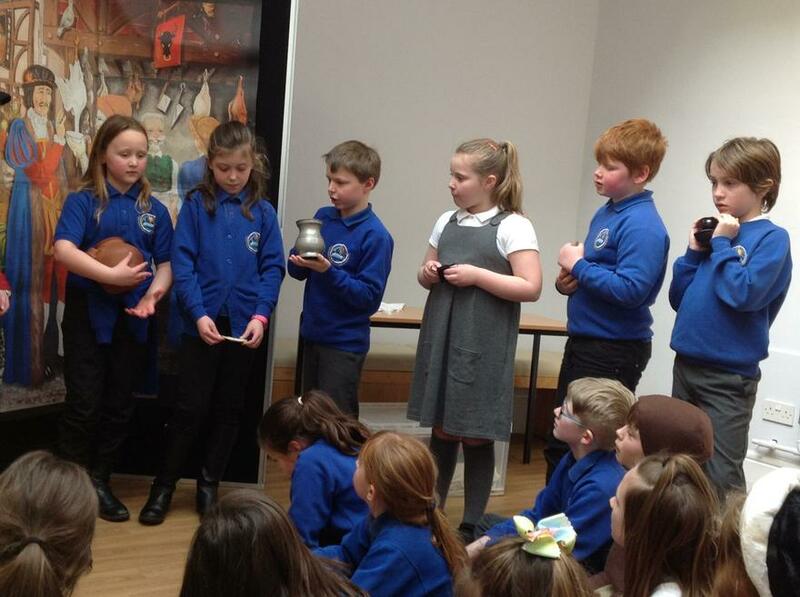 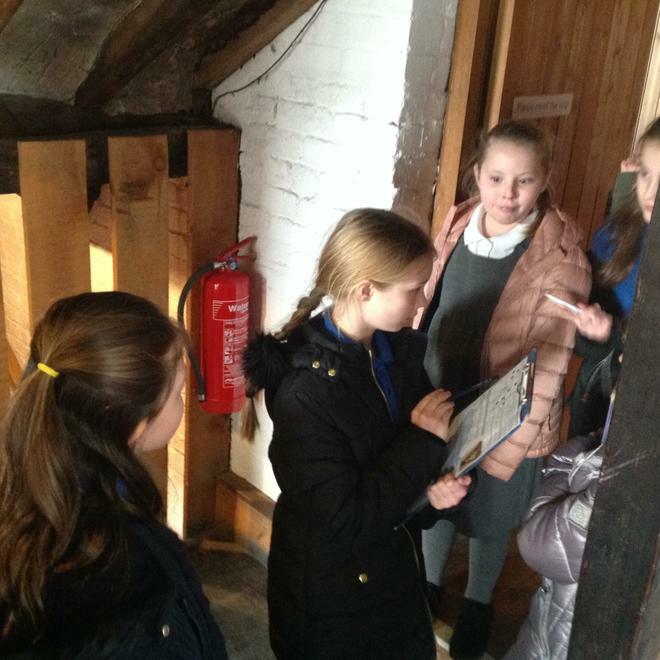 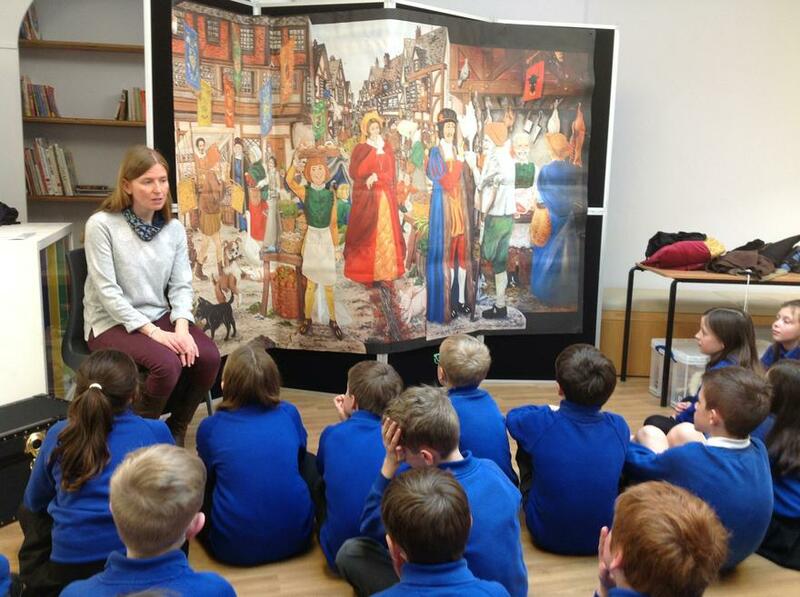 Year 3 and 4 went on a trip to Carlisle to learn more about the Tudors. 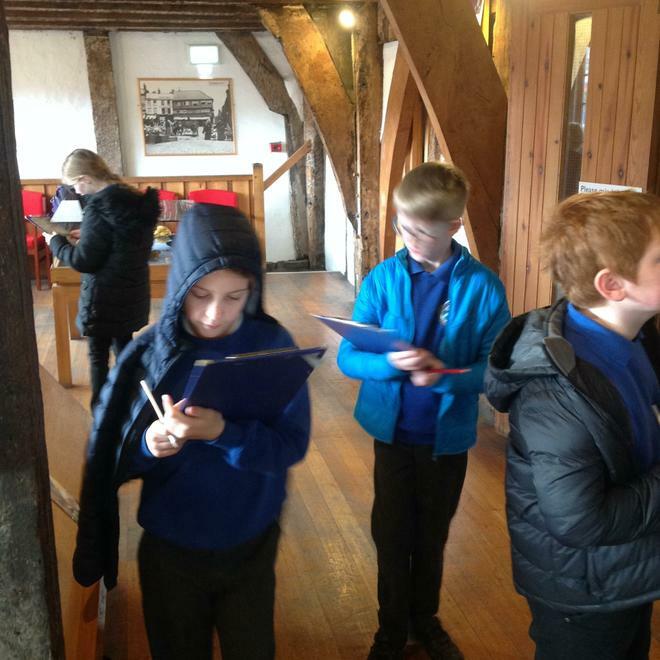 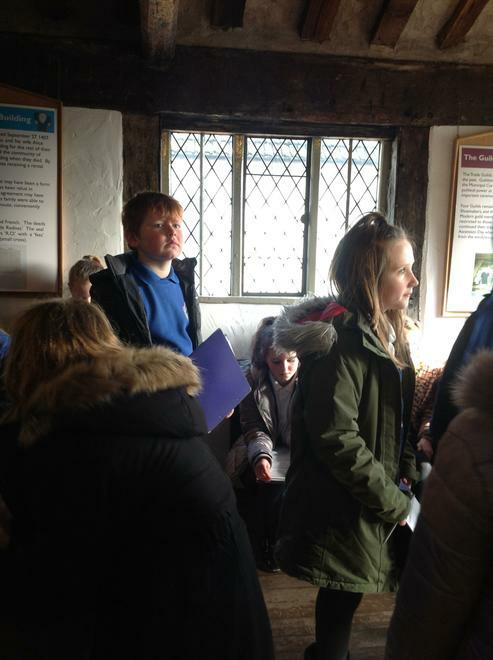 We went to the Guildhall and learnt about old Tudor house and the Guilds. 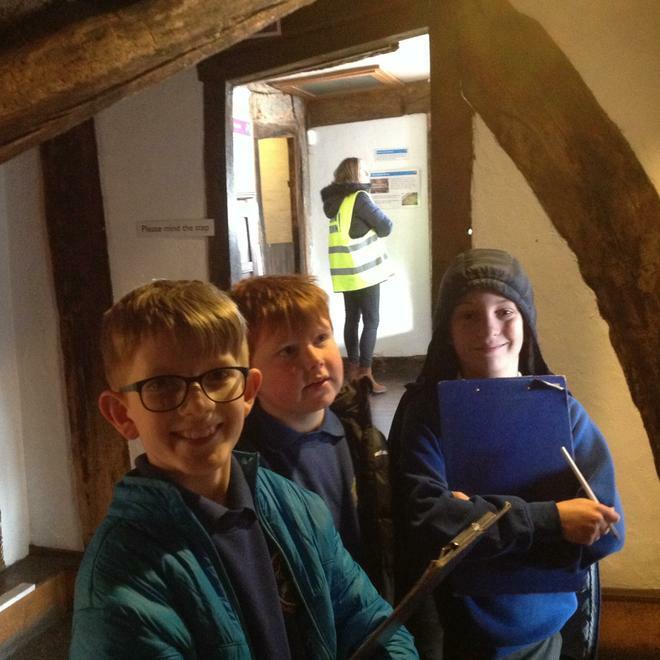 After lunch, we took part in a Tudor workshop at Tullie house where the children handled artefacts and learnt about Tudor people. 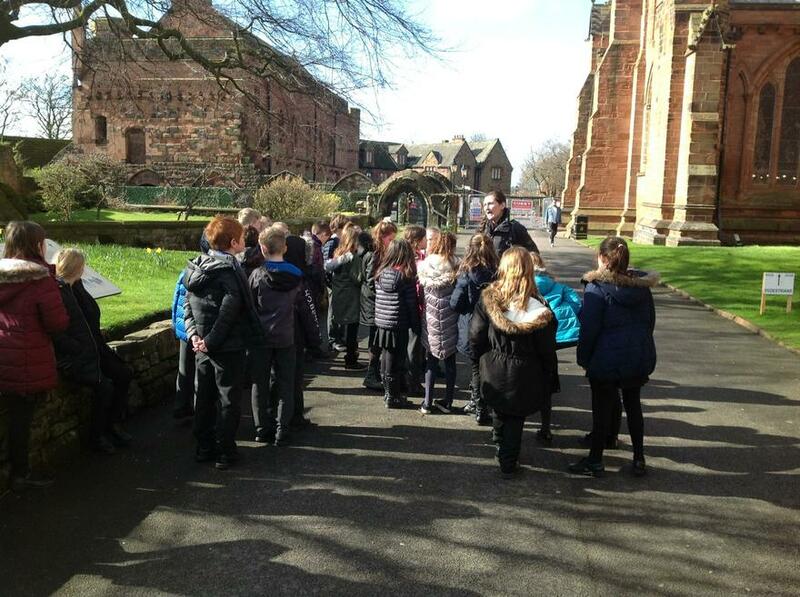 The children were very well behaved and we were even stopped my members of the public who commented on how amazing our pupils are! 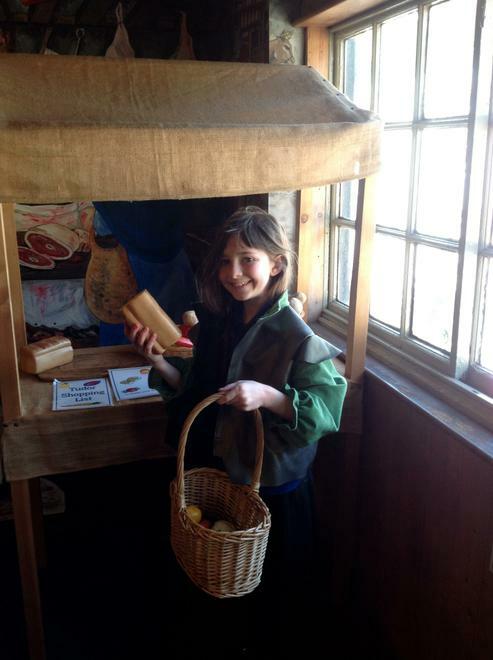 We love inviting families and the community into school at Paddle. 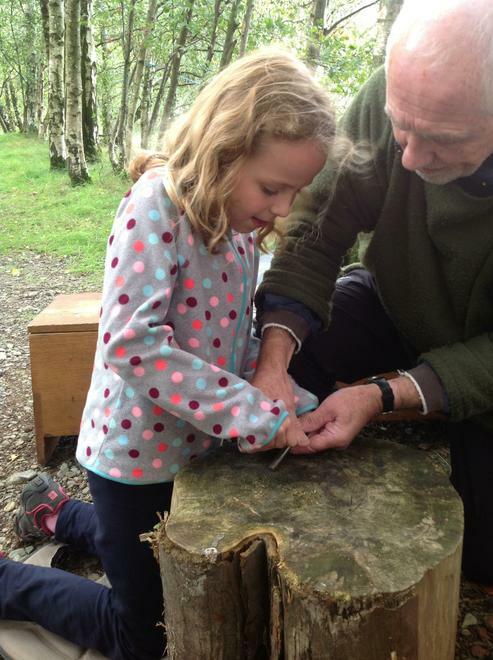 Our latest community day was Grandparent day!. 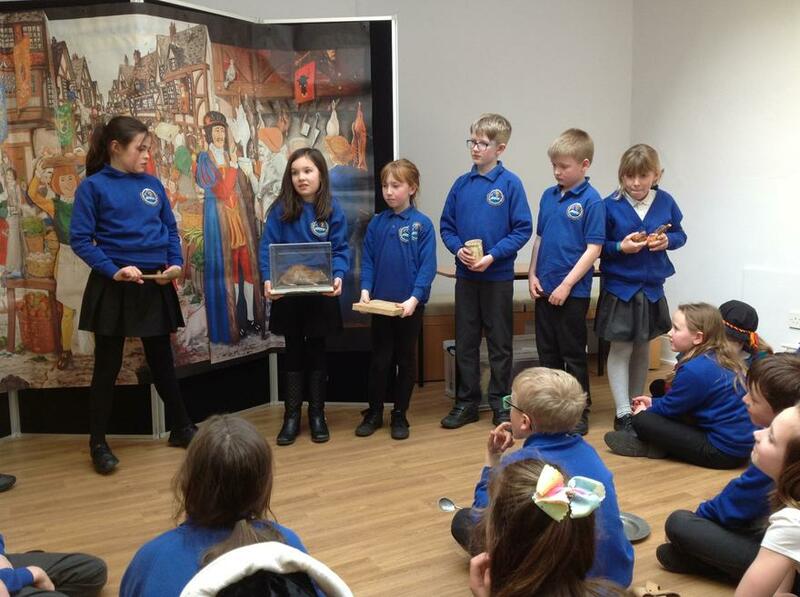 The year 4 children loved having the Grandma and Granddads in for the morning and having lunch with them. 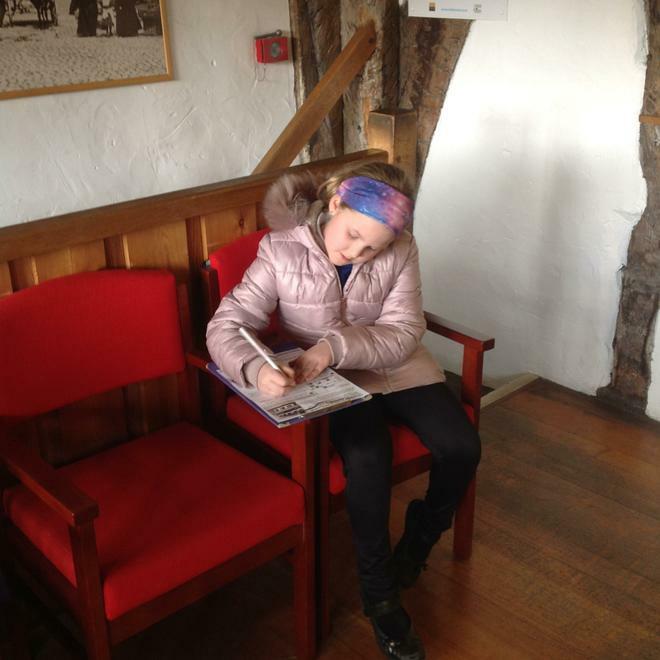 The children interviewed their Grandparents about the earlier lives and wrote a biography about them. 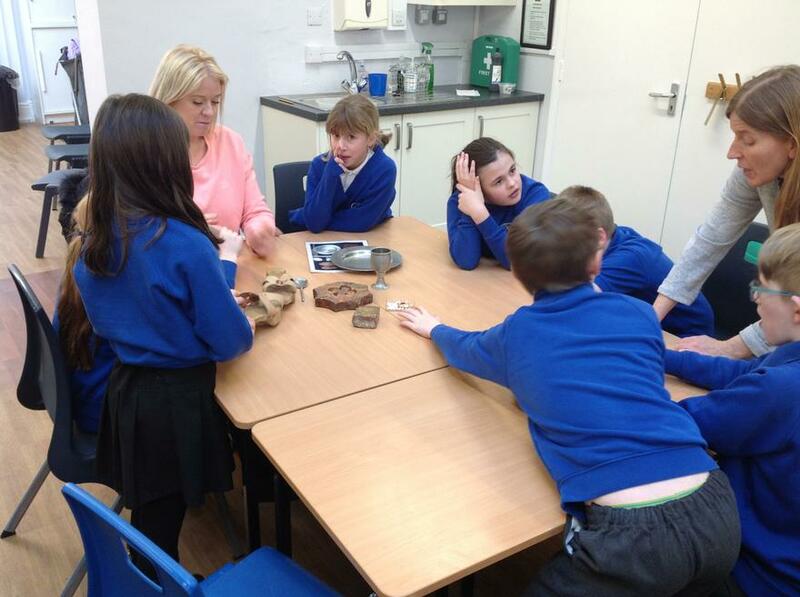 The feedback from both the children and the Grandparents was amazing! 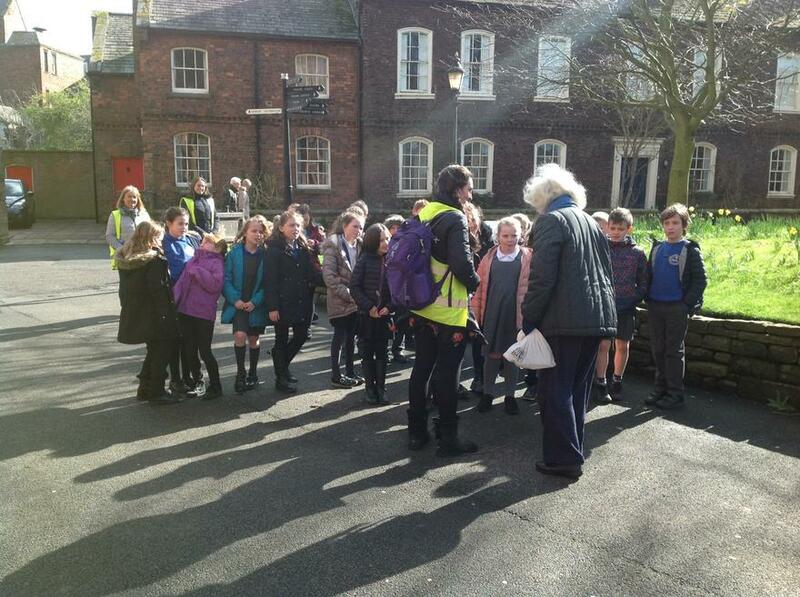 "it was nice to remember things I had forgotten from my earlier life"
"my grandchildren learnt lots of things they never knew about me!" 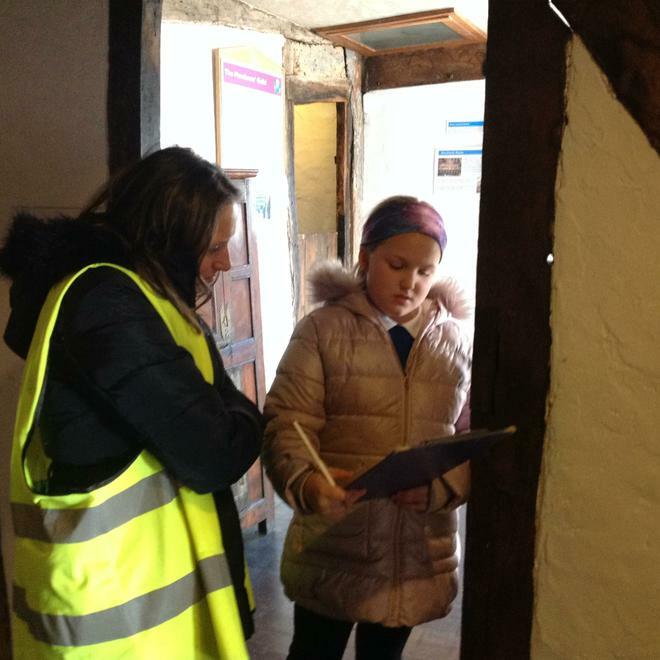 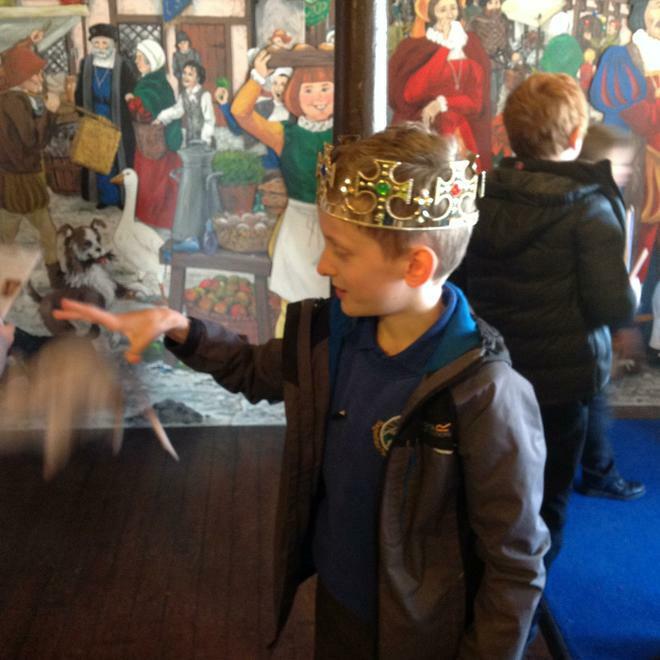 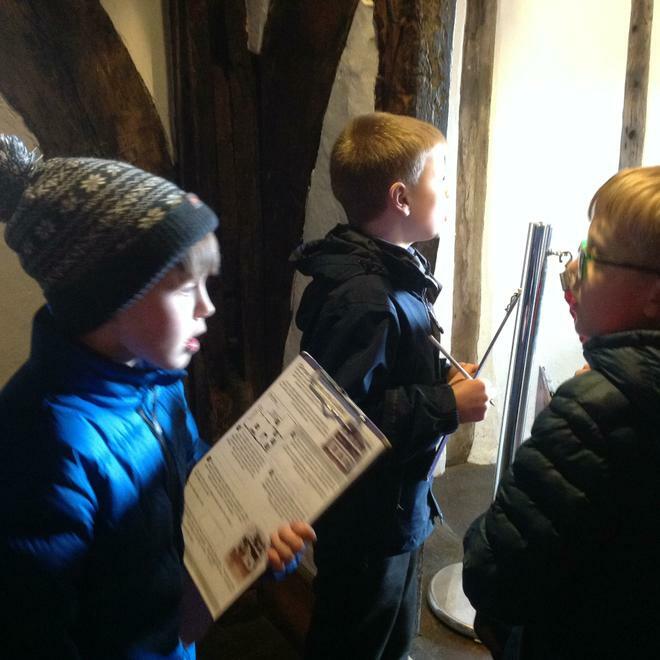 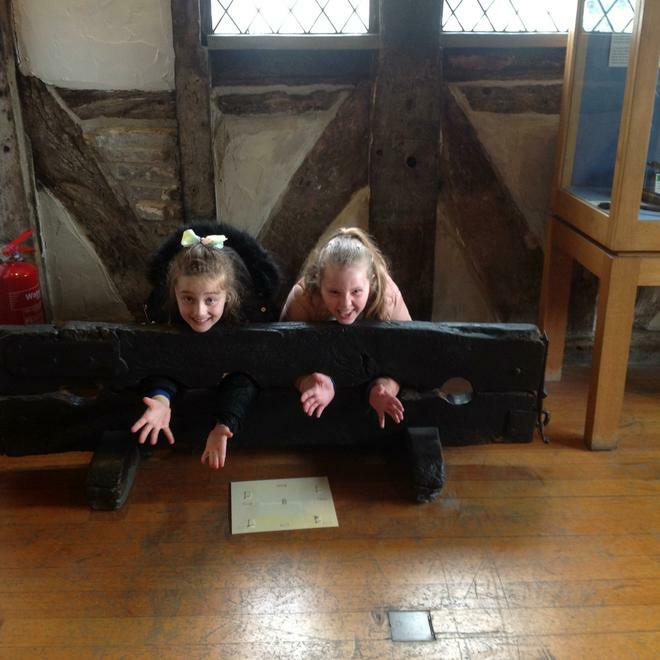 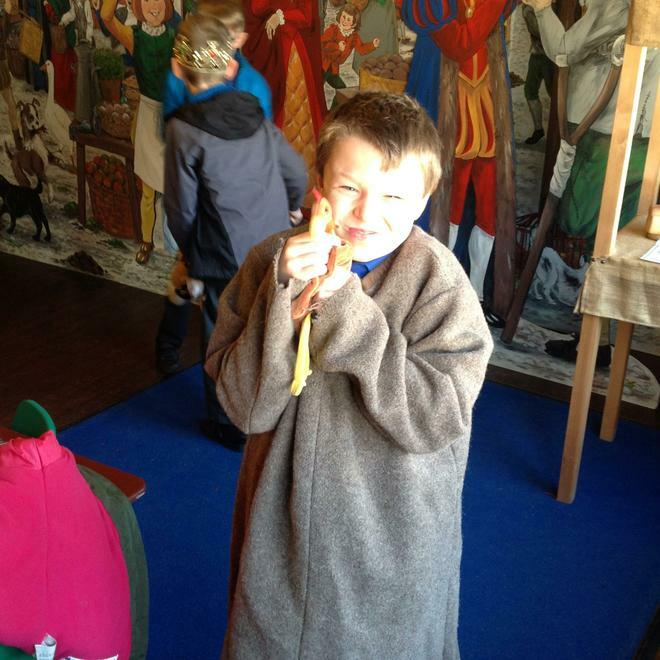 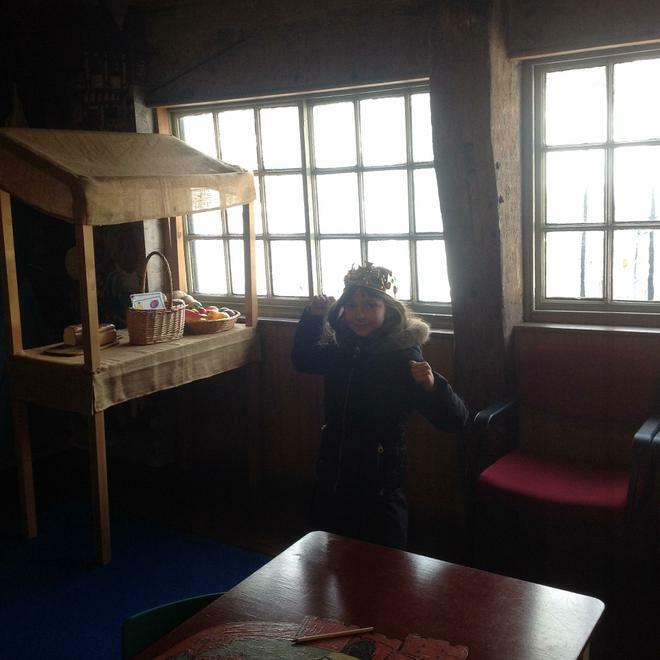 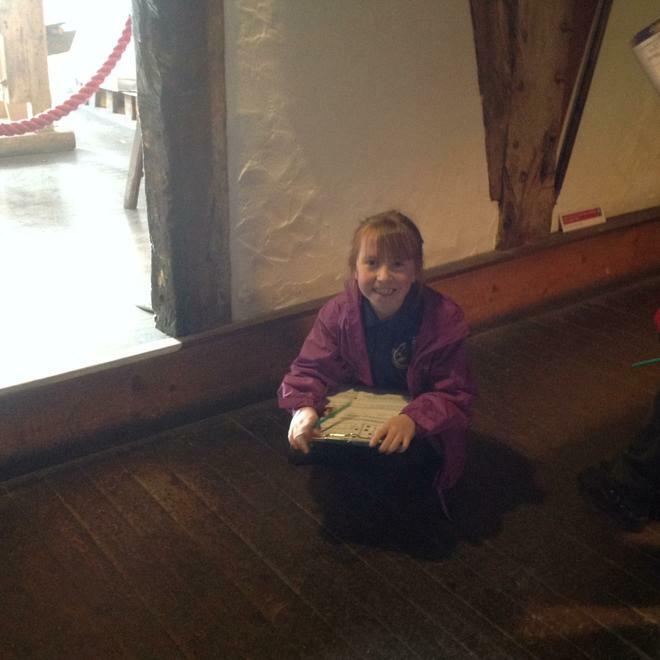 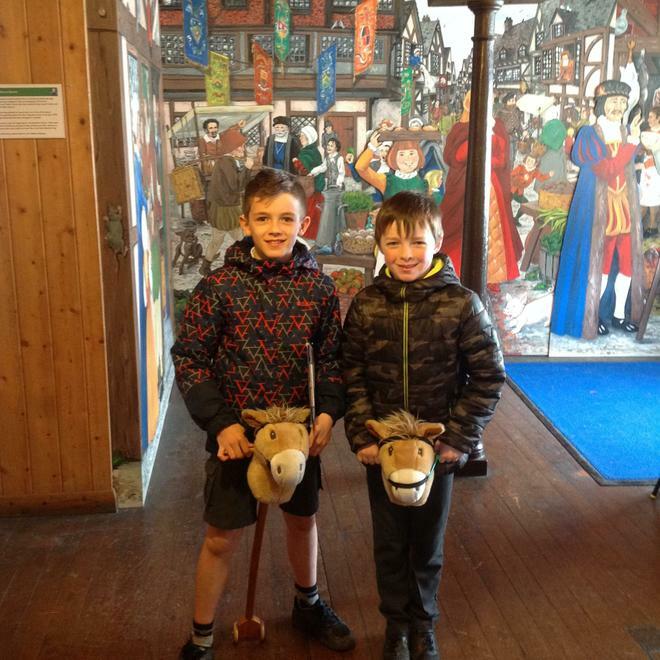 "it was lovely to meet my grandson's best friends"
Our topic this term is The Tudors. 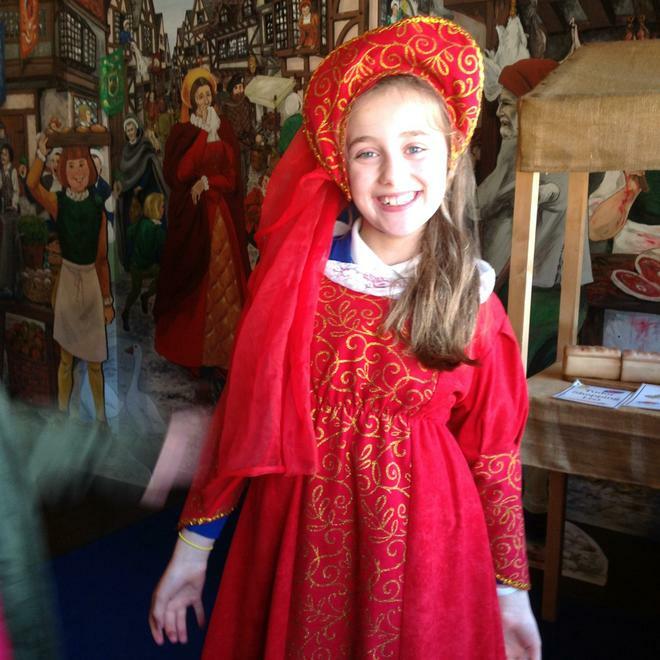 Take a look at all our Design and Technology work inspired by the Tudors. 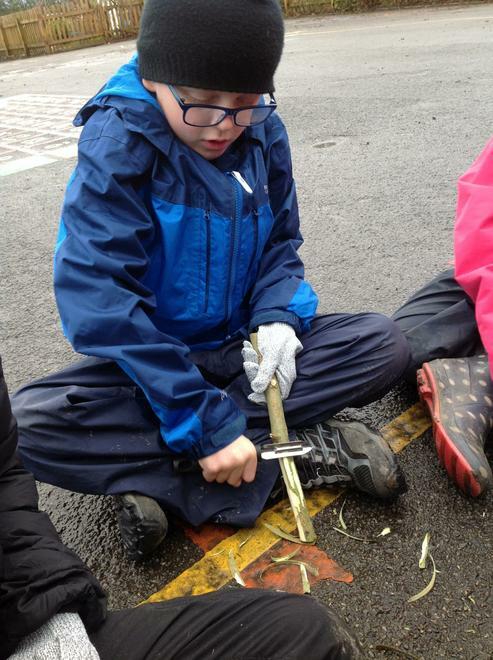 We have been working on rope work, sewing and sawing. 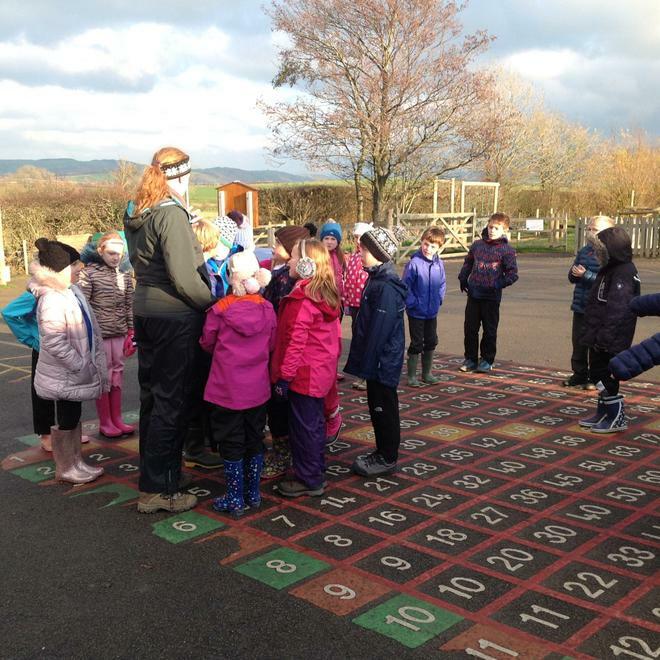 The run up to Christmas bought very exciting times for year 4! 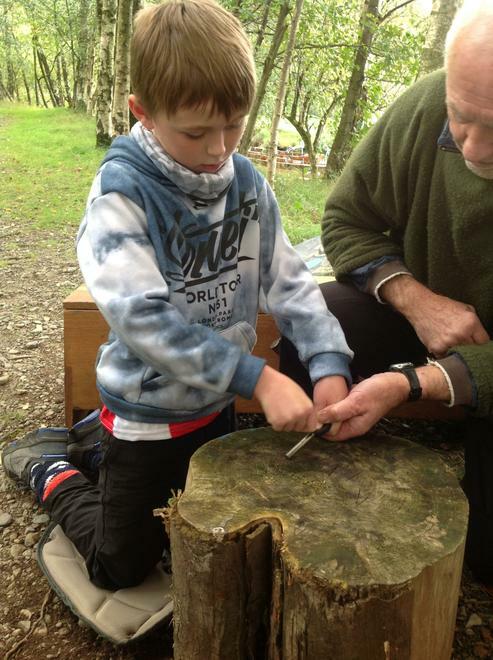 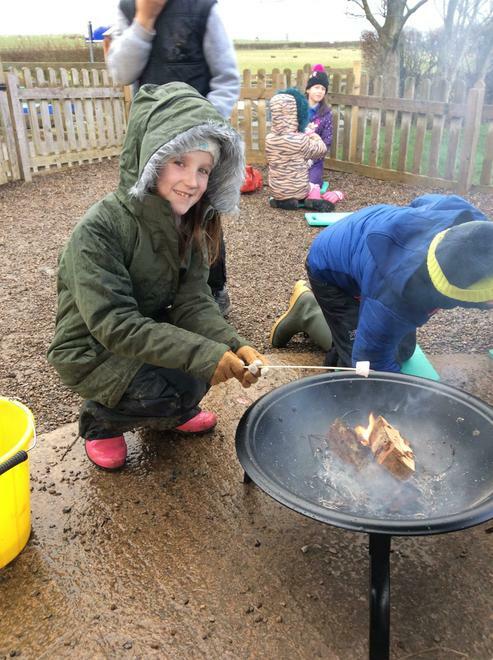 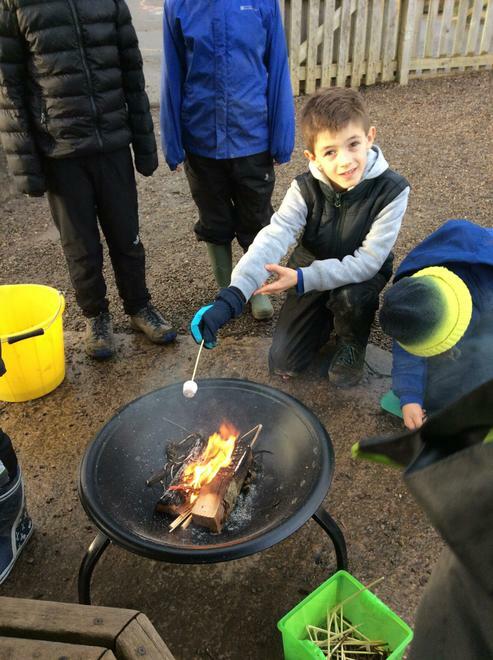 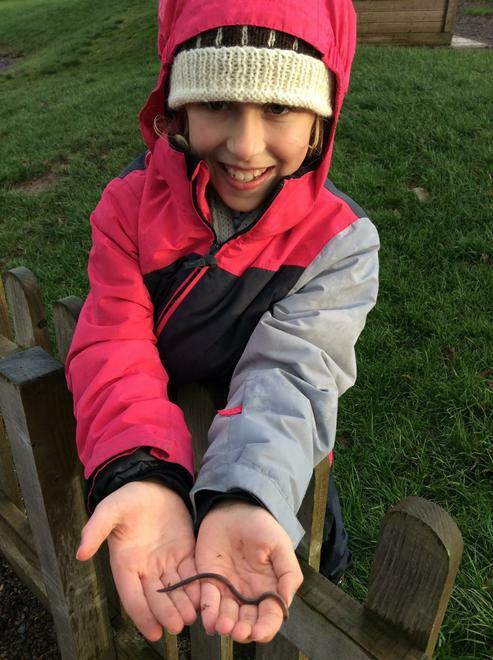 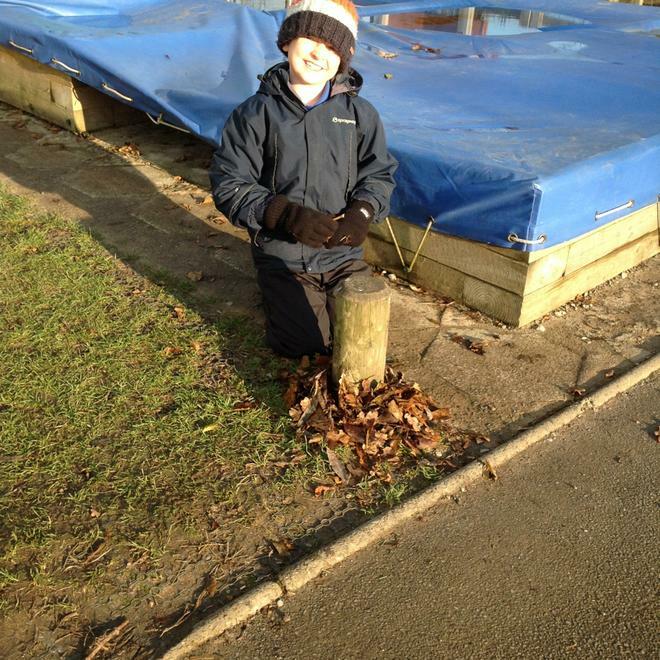 We had a whole half term of FOREST SCHOOL Wednesdays using Paddle's very own forest schools teacher Mrs Watkins. 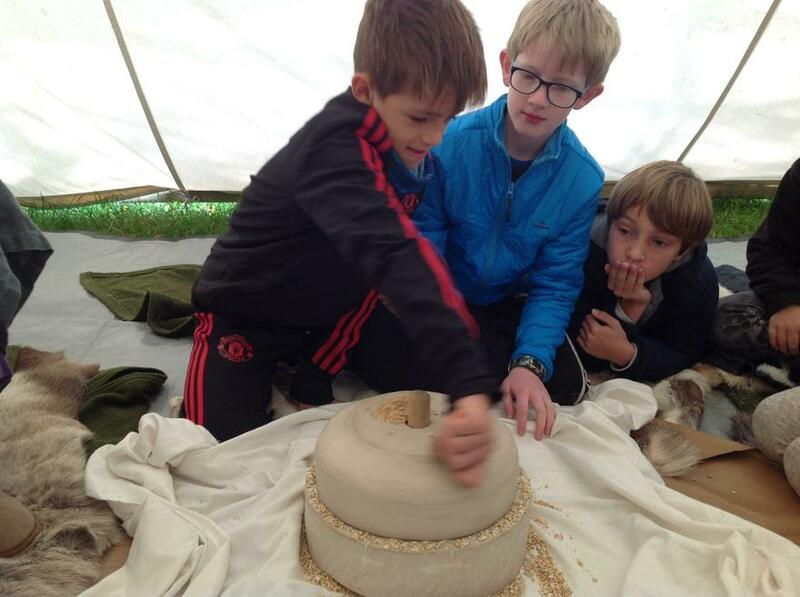 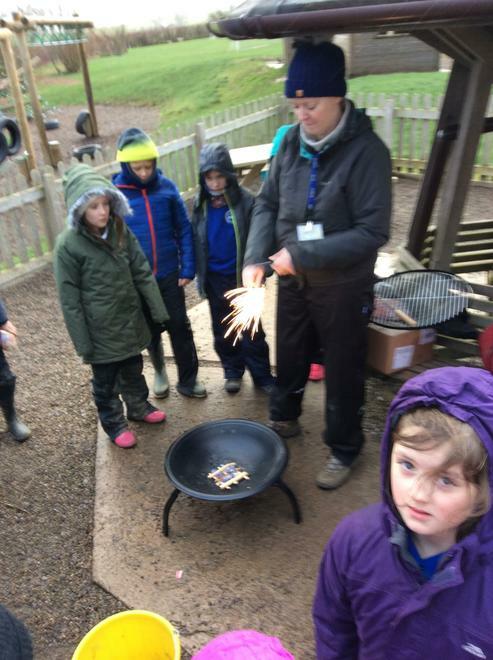 The children learnt how to: Habberzome, whittle, make bunting, weave willow, create sculptures, and make fires! 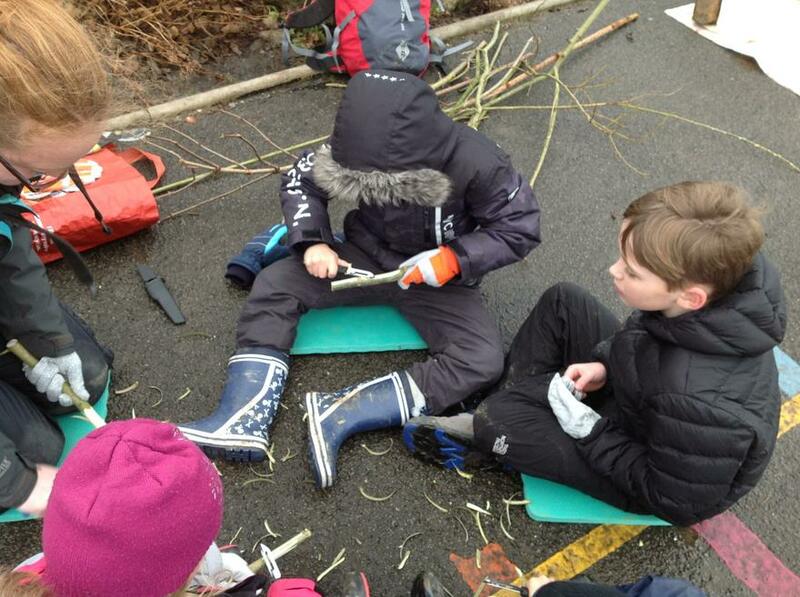 They really loved being outdoors. 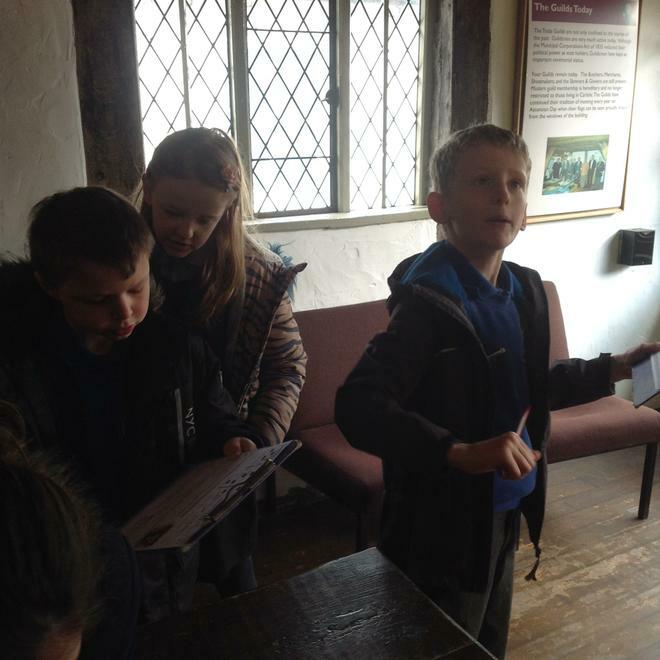 Take a look at our pictures they are full of smiles. 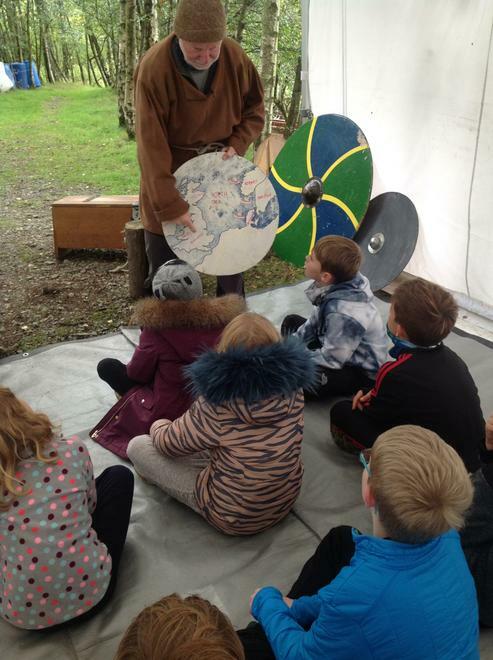 This term we are learning all about Vikings!! 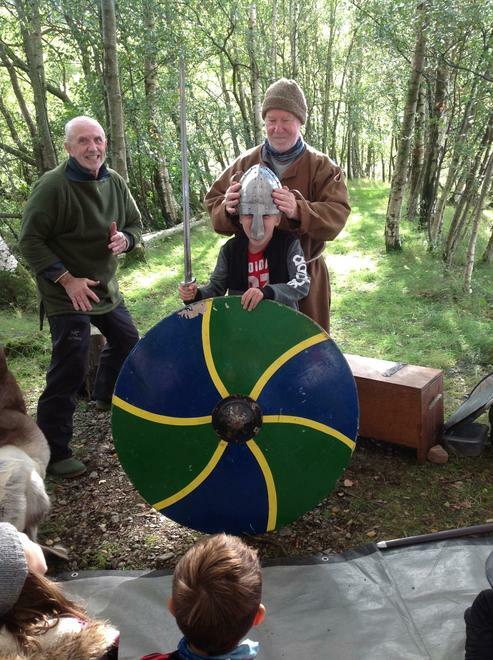 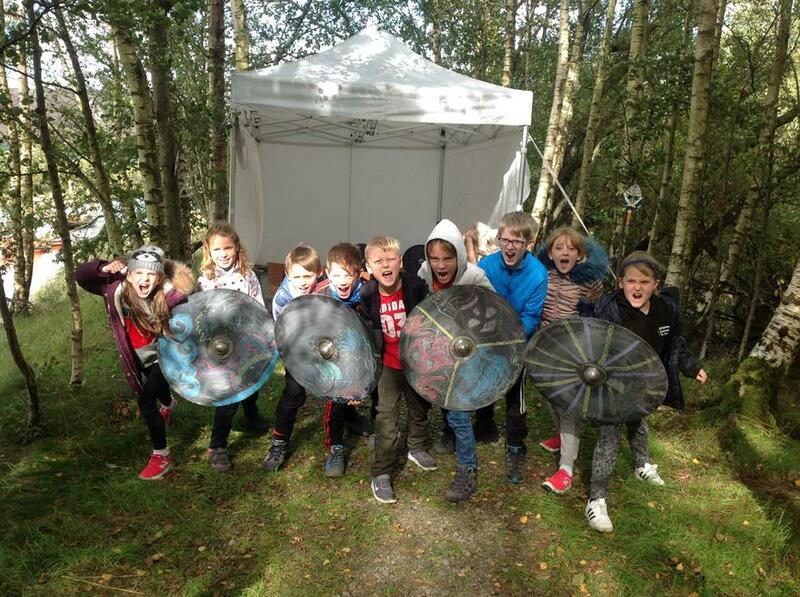 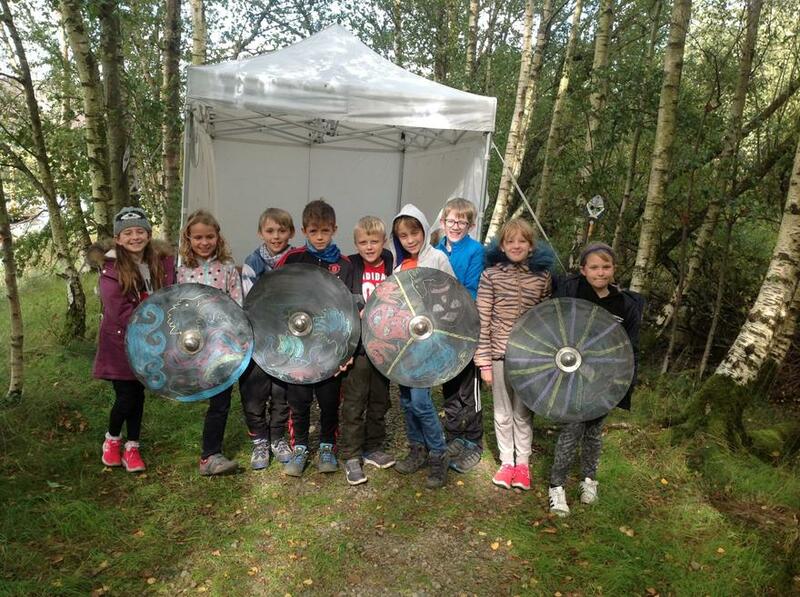 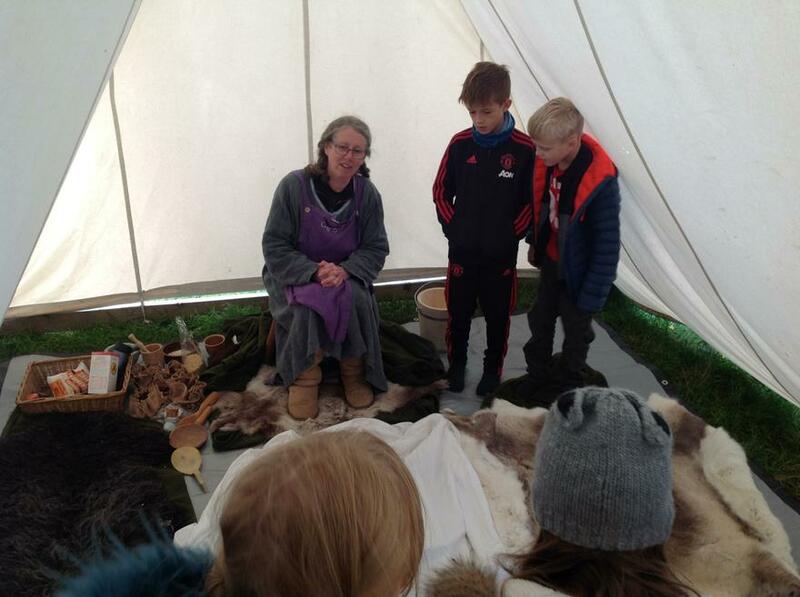 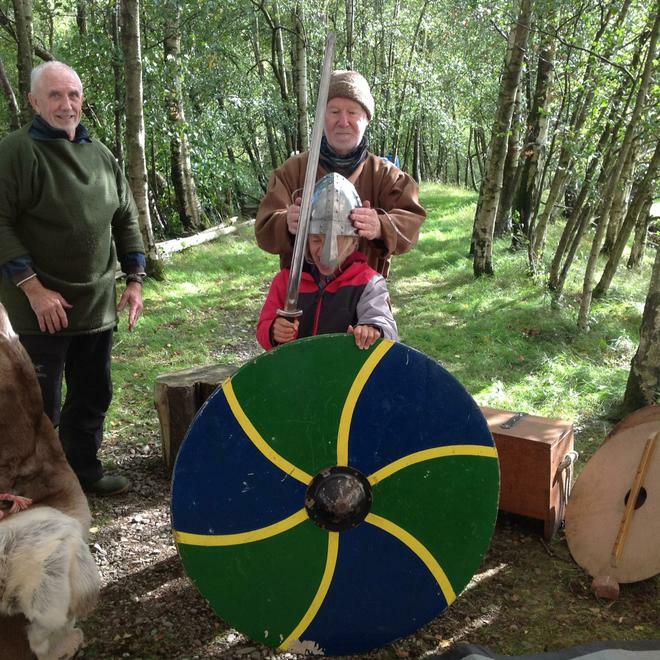 We work really closely with year 3 and wanted to bring the Vikings alive in our school. 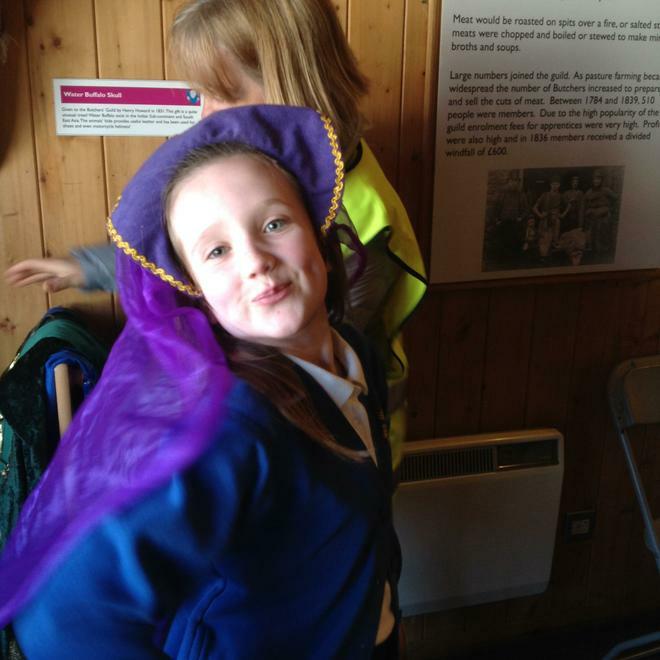 Whilst the year 3's were on a trip the mighty year 4 warriors raided the year 3 classroom! 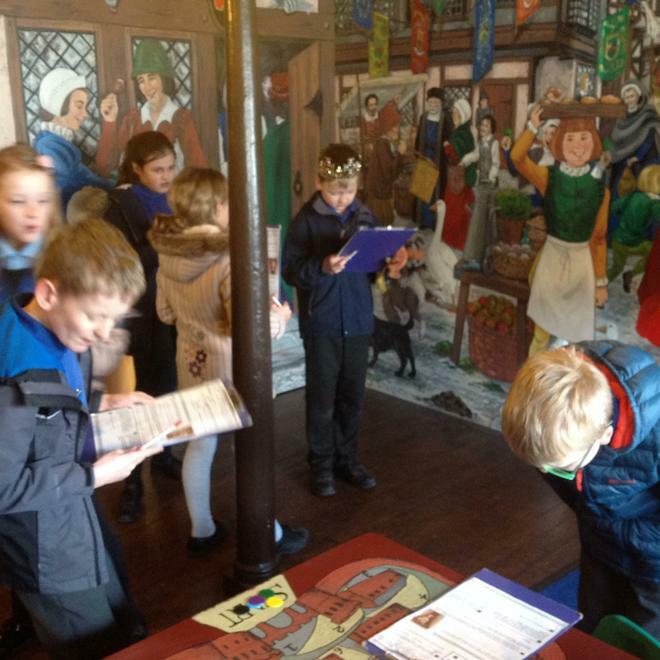 this was the reciprocated and the classes had to write letters of persuasion to barter and trade for their goods, just like the Vikings did! 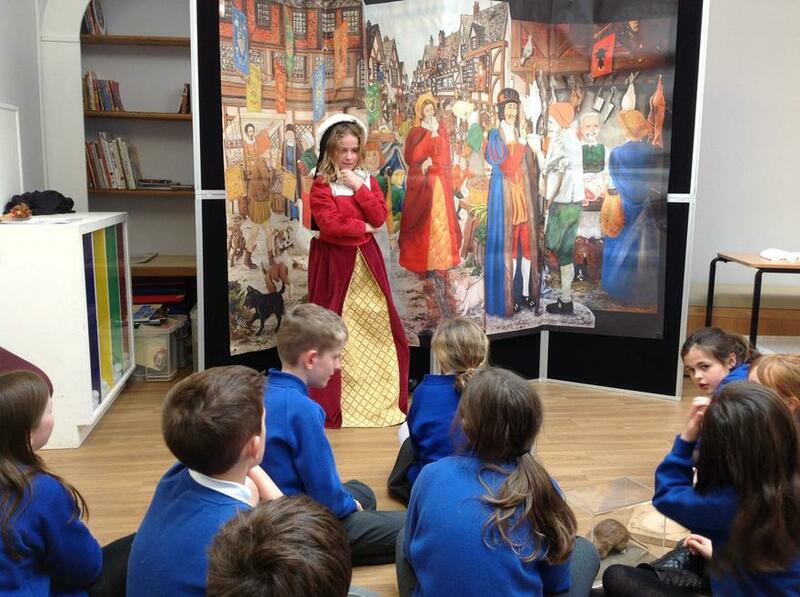 After a relaxing, fun-filled summer, Year 4 have had a very exciting and busy start back at school. 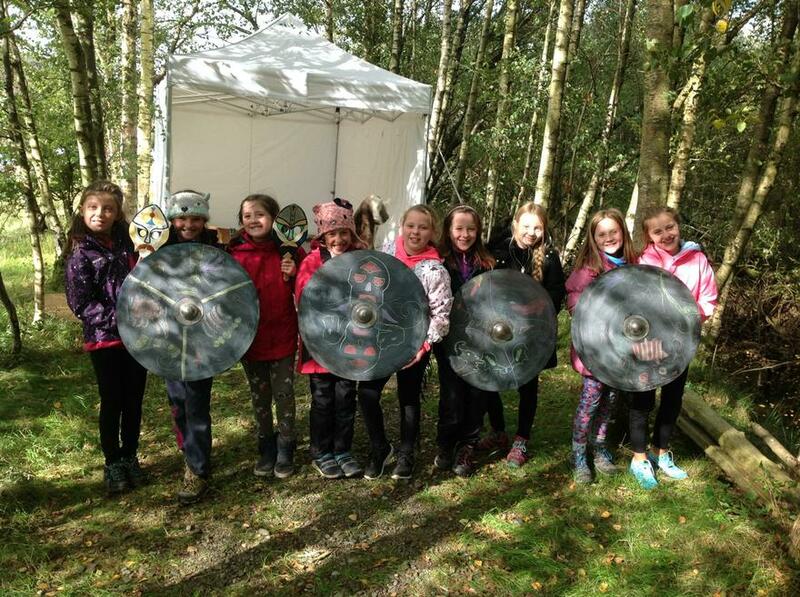 Our Topic this term is 'The Vikings'. 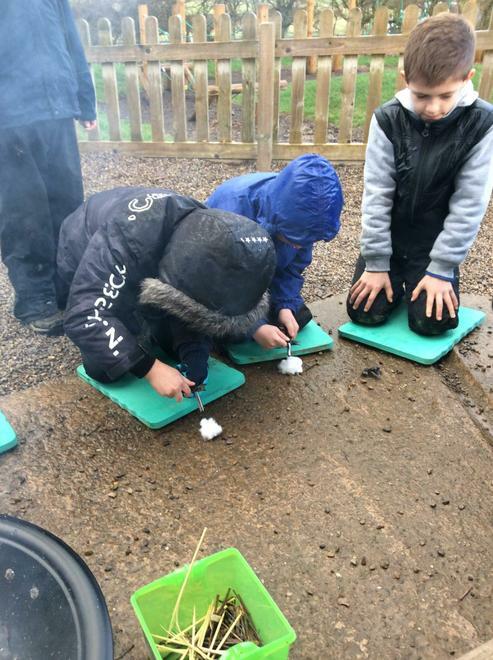 As part of our topic we have been designing prototype Viking boats. 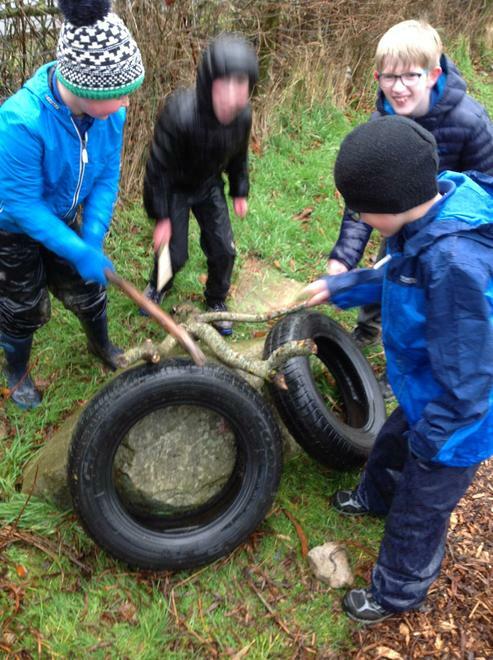 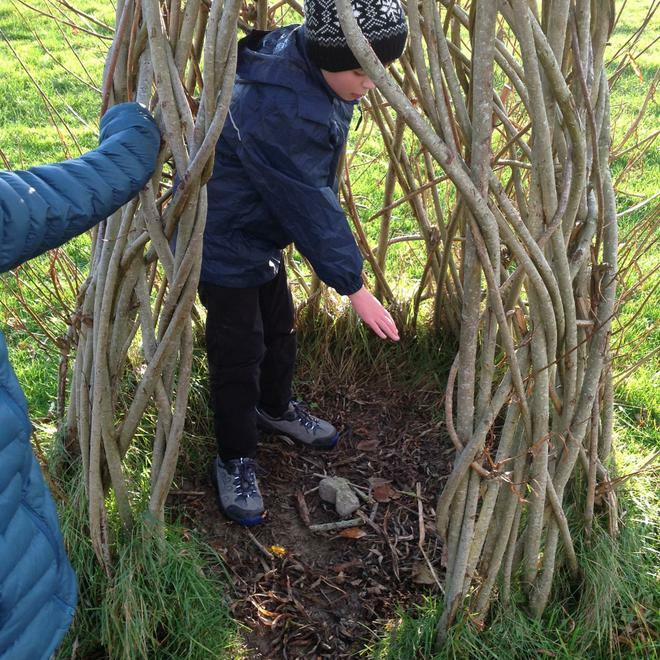 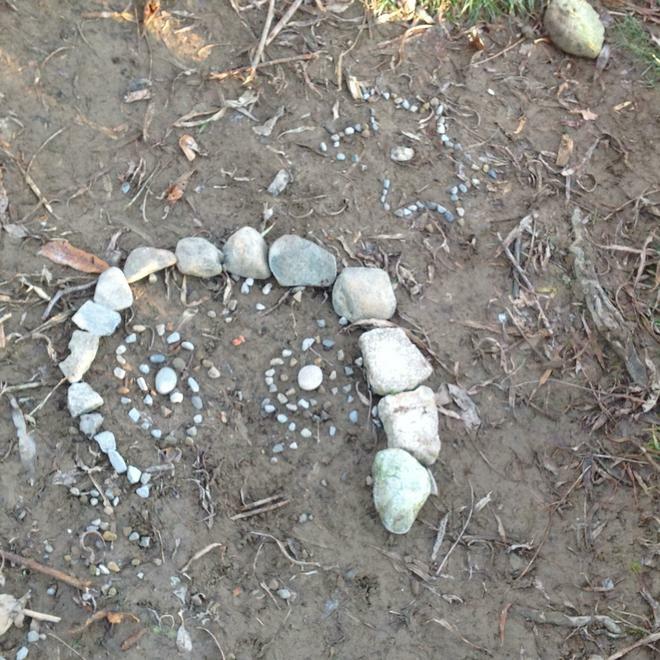 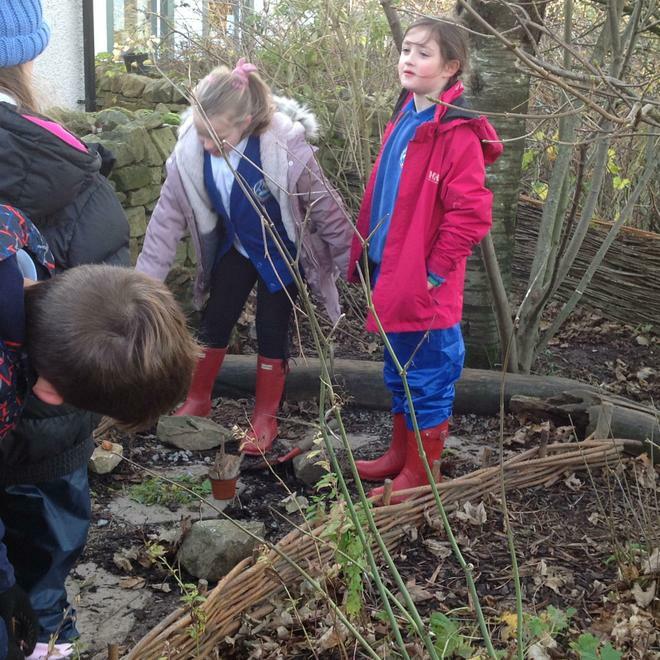 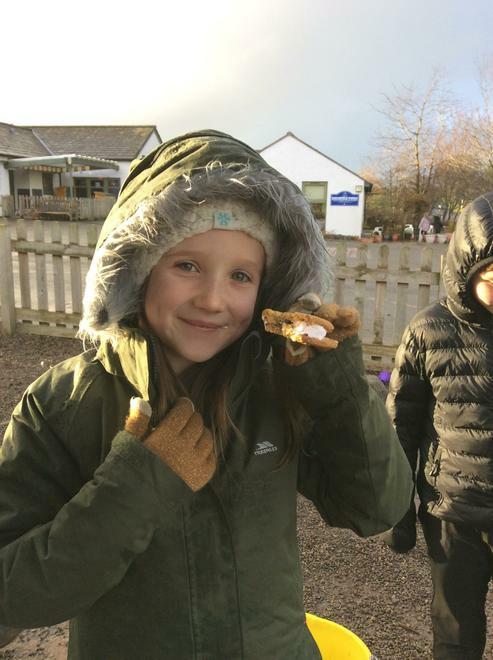 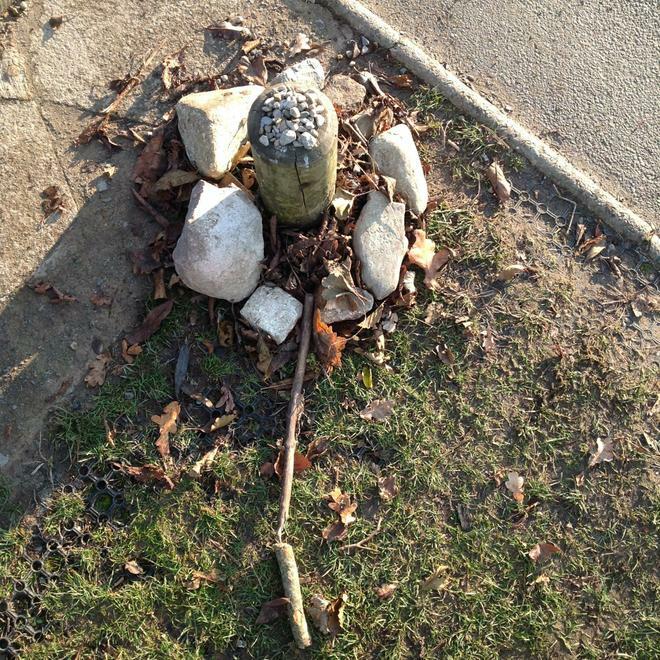 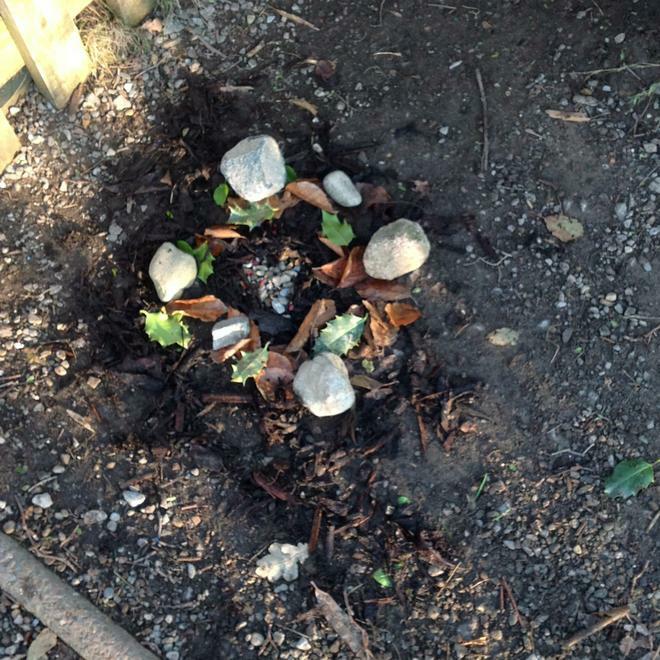 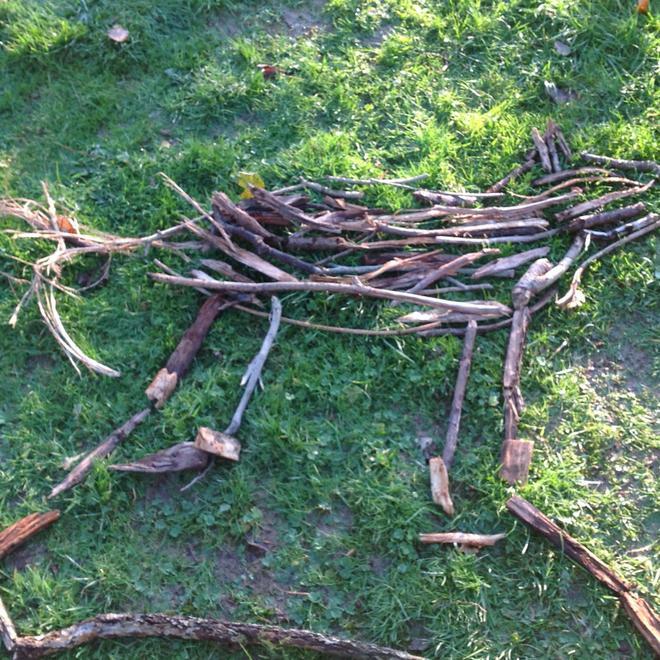 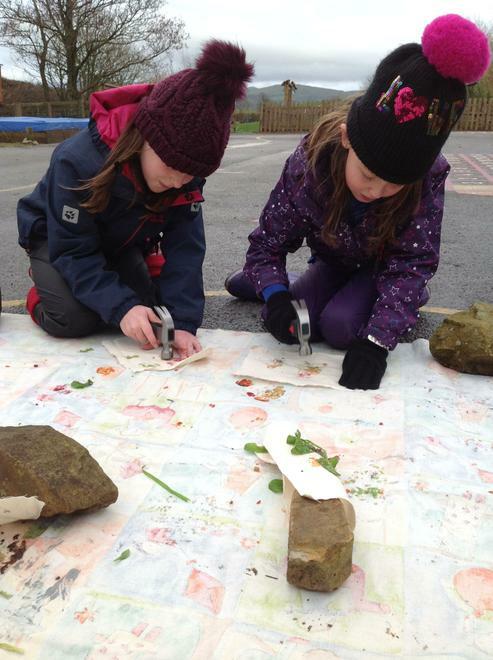 We went on a trip to Lanthwaite woods with Year 3 to test and evaluate our creations. 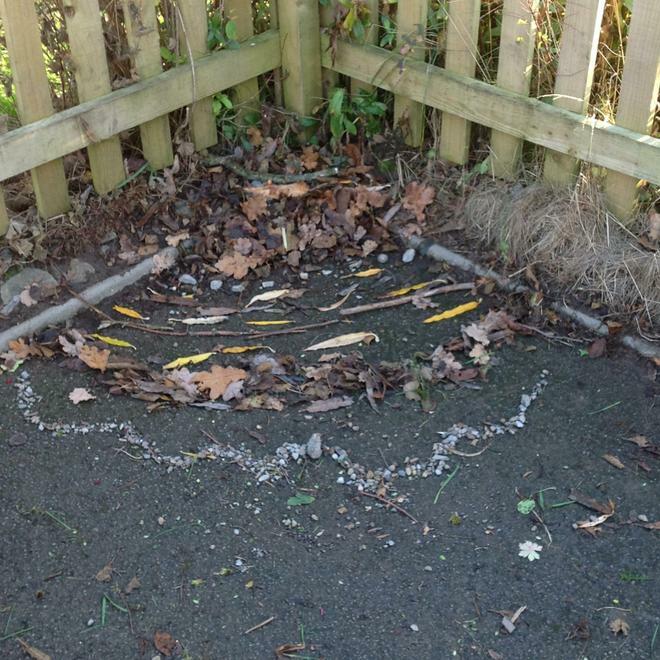 We wanted to see if the materials we had used were fit for purpose. 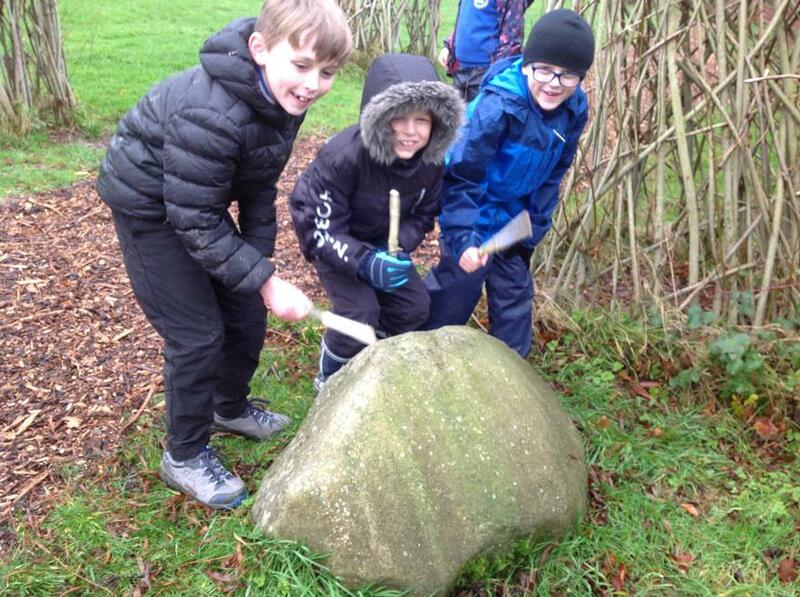 We tested them on Crummock water and wrote about them when we got back to school. 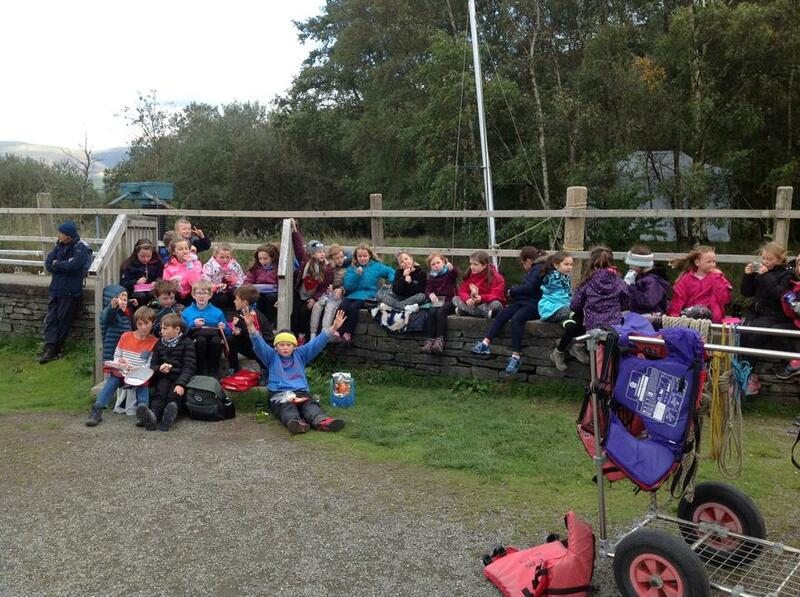 Whilst we were at Lanthwaite woods we also went on a hike as one of our PE lessons for the week. 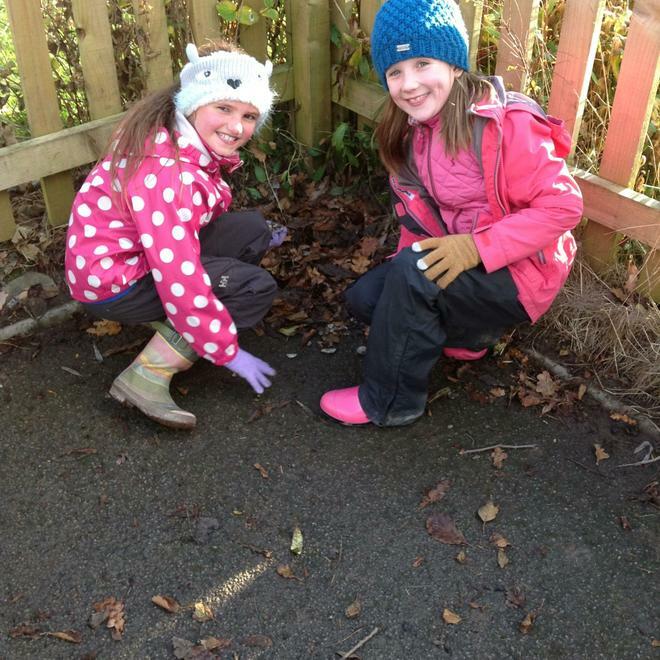 We found so many different leaves and mushrooms which we will identify later this week. 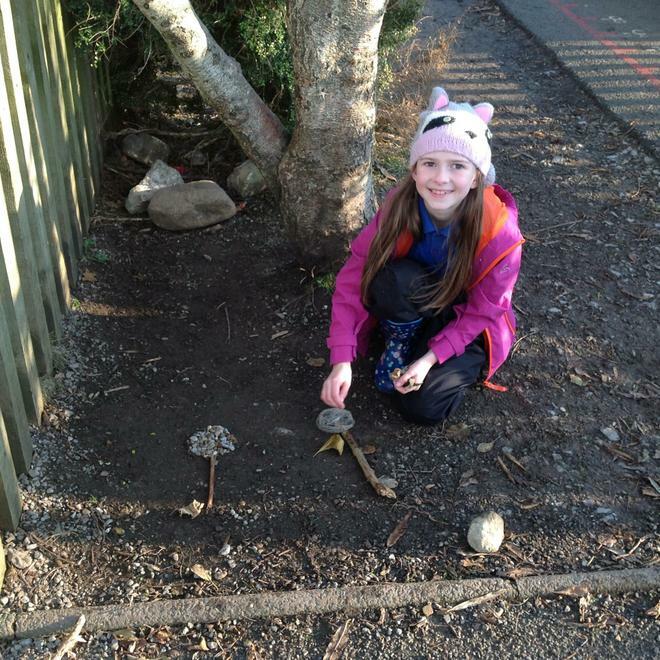 We also found a hidden cave which we found out was the home of a troll called Toxic Bob!